Having healthy digestion is crucial to feeling awesome. When digestion is working as it should, you feel energized, you have great sleeps and you easily maintain a healthy weight. The digestive system is the way in which your body breaks down food, assimilates nutrients and eliminates waste out of the body. Unfortunately so many people struggle with gut problems. 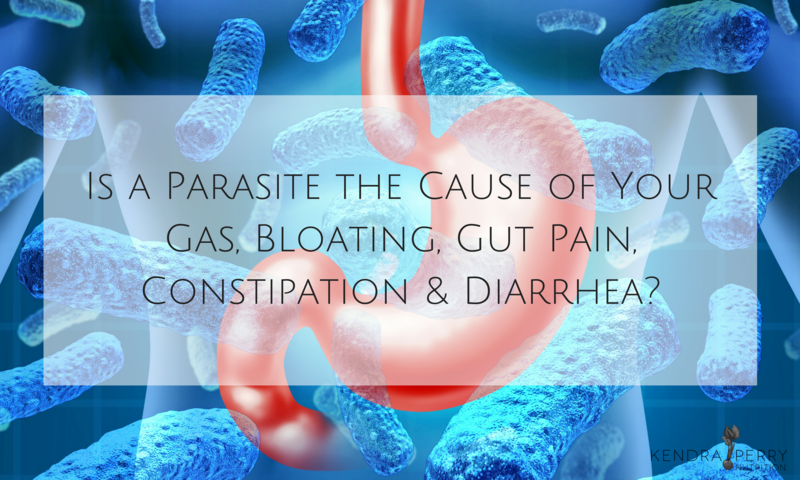 Whether its gas, bloating, diarrhea or constipation, these issues are becoming more and more prevalent in today’s world. As a health practitioner, gut healing is a main focus of the work I do with clients to re-establish health, especially when hormones are out of whack. Gut problems play a huge role in hormone imbalance. When a client comes to me with hormone imbalance, I always start by looking at gut health. Many of the clients I work with are already educated about gut health. They are doing all the staple things to improve their digestive health. They drink bone broth. They take probiotics. The consume digestive enzymes and eat a healthy, whole foods diet. Despite their best efforts, their guts are no closer to being healthy. No matter what they do, their guts are still a total mess. They still experience constipation, diarrhea, gas, bloating and abdominal pain. It is extremely debilitating and interferes with their lives. I have found the missing link in gut health to be the presence of pathogenic GI infections. This might include parasites but can also include bacteria, yeast, worms or even viruses. A parasite is actually just one of the many organism that could be inhabiting your digestive track and promoting inflammation. We all know what it’s like to pick up a stomach bug. Maybe you ate something questionable or are travelling in a foreign country and you get those initial food poisoning symptoms of diarrhea and abdominal pain. This is what is called an acute infection. The problem that leads to long term gut problems tends to be low grade chronic infections. These are infections that we contract and our immune system deals with to a certain point but they are not fully eradicated from the system. They continue to exist in smaller amounts and cause chronic inflammation and over stimulation of the immune system. Your immune system works hard to keep these things in check so they do not take over but this can lead to extreme fatigue, poor sleep quality and inflammation. You can imagine how many resources your body would need to keep these things in check. You suffer as a result. You may experience alternating constipation and diarrhea in between periods of normal bowel movements. You may also experience chronic low energy, brain fog, anxiety or depression. If you have experienced chronic digestive issues despite cleaning up your diet and actively trying to heal your gut, an infection may be to blame. I don’t believe these infections are the root cause of illness. I believe that our digestive systems become unhealthy due to exposure to toxins, stress, drugs and alcohol and this compromises the gut mucosal barrier system. What is the Mucosal Barrier System? The gut is lined with an intricate barrier system which separates your GI tract from your bloodstream. You can imagine that you would not want everything you eat to end up in your blood. The lining of your gut is selectively permeable. Some things can get through (ie. vitamins, minerals, nutrients) and some things are blocked out (ie. viruses, pathogens and toxins). Our constant exposure to toxins, chemicals, food additives and stress can not only create inflammation in this barrier system, causing it to breakdown physically, but it can also cause communication problems, that lead to malfunction. The result is that the intestinal barrier begins to malfunction, allowing not only inappropriate things to leak into the bloodstream but also impacts the immune system and breaks down our defenses. The result is we become more easily infected with pathogenic organisms and physically we may experience more frequent illness, like colds and flus. 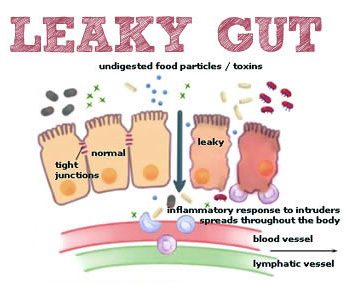 A situation such as this is called, Leaky Gut Syndrome. Many people are unaware of how common this is. I frequently find multiple pathogenic species in one person. If you would like to learn more about my journey with serious GI infections, check out this blog post. Infections can absolutely destroy your digestive system. Not only do they stimulate the immune system, causing inflammation but they also produce excessive amounts of toxins. The toxic load stresses out the liver, causing congestion. A liver that is overloaded with toxins, is unable to do its other important jobs like clearing excess hormones from the blood and converting thyroid hormones into energy. This can have serious implications for your adrenal and thyroid health, not to mention the effect it can have on your skin (acne, eczema or dermatitis). Infections are huge blocking factors when it comes to healing. If you have had the experience of doing all the right things for your health but are still feeling terrible then this is definitely something to consider. Unfortunately 2-3 weeks is not nearly enough time to clear many of these infections. These kits also fail to address the reason one’s gut may have become unhealthy to begin with. If you do not change these reasons, then you will likely become re-infected or infected with some other pathogenic organism. Not knowing what organism you might be infected with is another huge issue. Many of these infections share the same symptoms. Many people think they have Candida, because they have sugar cravings, a white tongue or extreme fatigue. But these symptoms are also common of parasitic and bacterial infections. Certain infections do not stay put in the intestine. They travel outside to other areas of the body like the brain, gallbladder, liver and lungs. Infections that exist outside the intestine do not respond well to botanical formulas. In some cases, antibiotics are necessary. Read more about my experience taking antibiotics to treat a potentially fatal parasitic infection. I have run hundreds of Gastrointestinal Pathogen screens on clients and students and it is rare that they come up clean. In one person it is not uncommon to find parasites, bacteria and yeast infections all at once. Take the Gut Pathogen Quiz!